Even though GNU/LINUX is gaining ground in the battle of OSs, many Hardware vendors and Software makers still don't see GNU/LINUX as a great place for their products to be present or supported to the fullest. 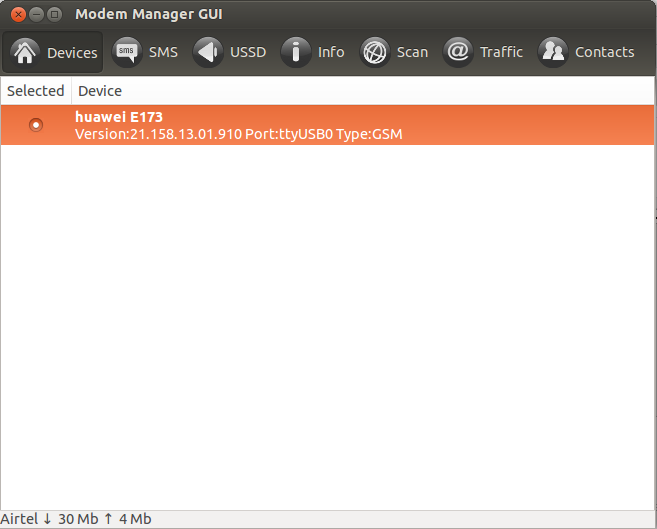 One such misery is Huawei modems which don't come with a dashboard for the GNU/LINUX systems. 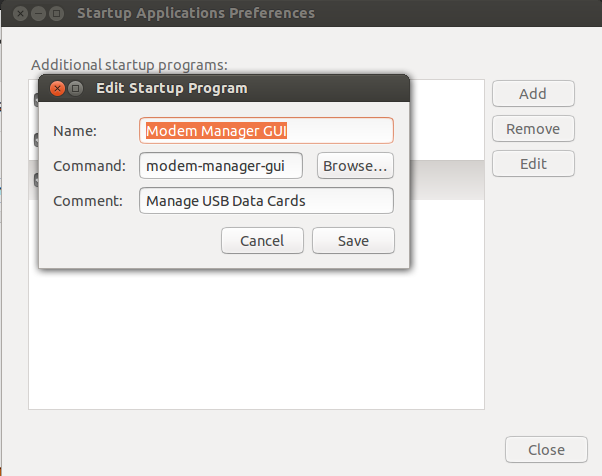 They only provide the drivers for GNU/LINUX. 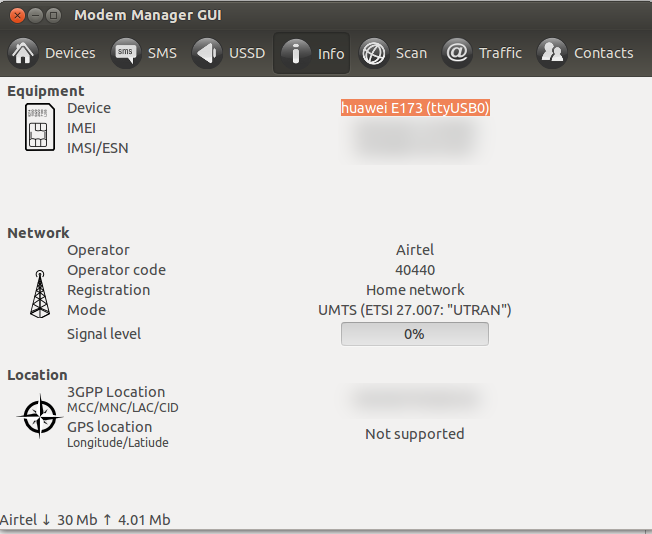 But the bitter part is these days there is no need to install such drivers because data cards are usable under GNU/LINUX without the need to install additional drivers (in most cases). 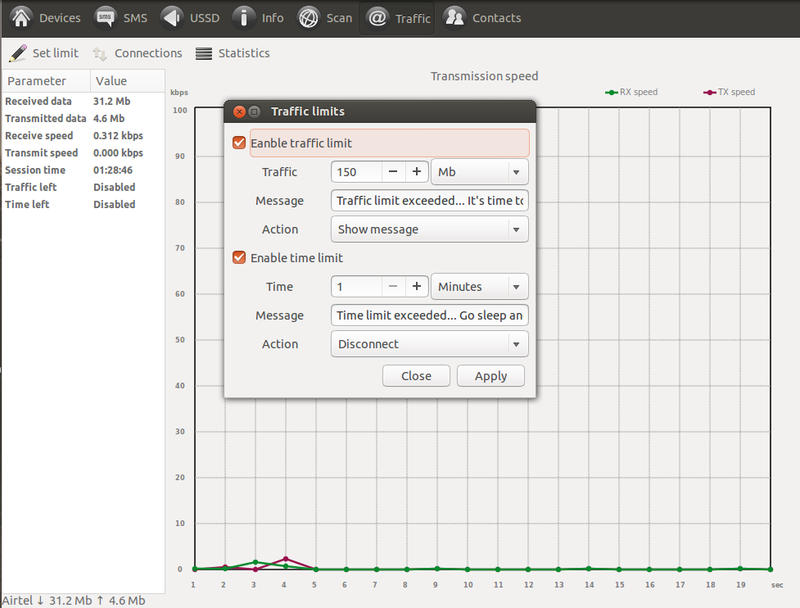 Why do you need a dashboard ? What if my data card comes with no dashboard ? Yeah i know its a pain in the neck. 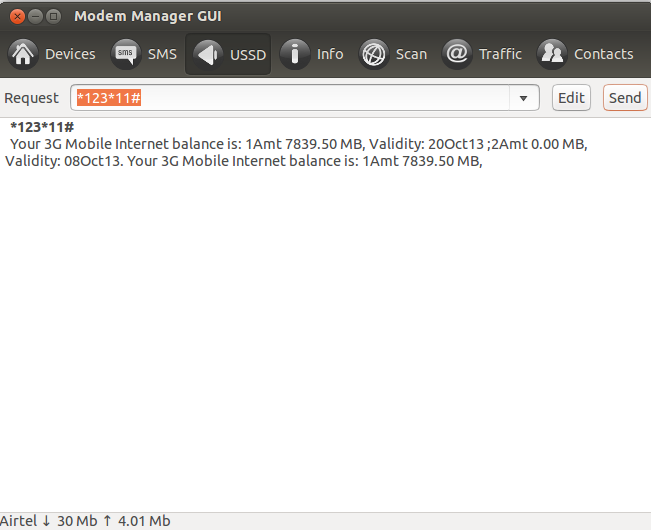 Switching the SIM just to find the balance or else to Windows for the same is really a time consuming and irking job. 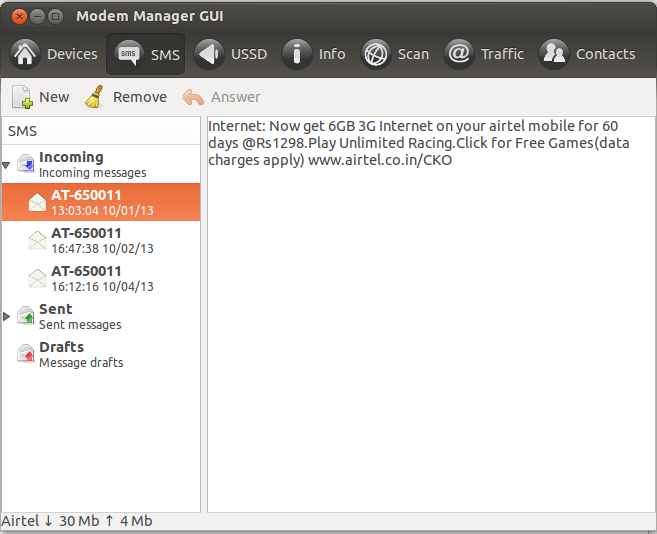 But thanks to Modem Manager GUI, that problem has been solved, although it isn't complete yet, it does do a decent job. If you know how to make the contacts work, kindly mention it in the comments, it would be useful for many. Stay tuned for more updates and information. See the right sidebar for links to our social networking profiles.